The Richmond Hill, Georgia Historical Society is a membership-based, non-profit organization with a mission to inspire and educate people on Richmond Hill's richly diverse past. Members enjoy a monthly lecture series, interesting field trips, special events and community projects. Whether you're a native or a newcomer, we hope you will join us! Join us at the Grand Opening of the new Visitors Center in the historic Ford Bakery! If you or someone you know would like to participate in oral history interviews about the Ford era in Richmond Hill on Saturday, April 6th, please contact Christy Sherman at 912-660-4113. 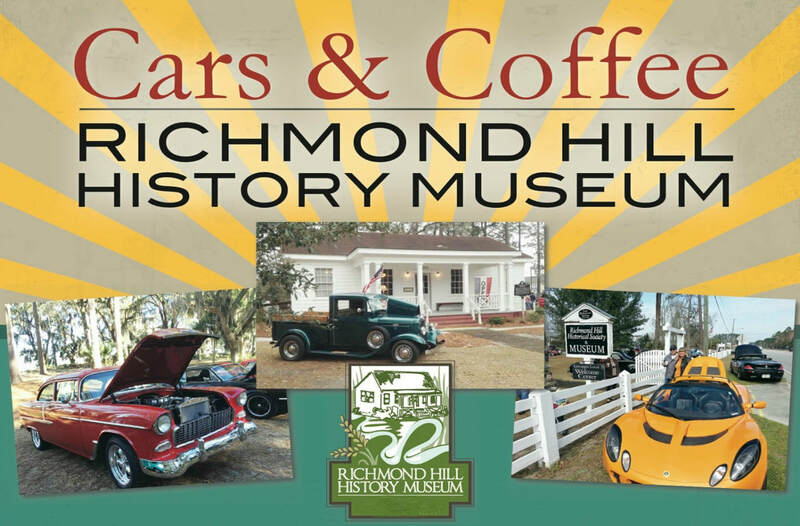 Cars & Coffee Richmond Hill takes place the first Saturday of each month (March - October) from 9 - 11 a.m. at the beautiful Richmond Hill History Museum. Cars & Coffee is a great place for car enthusiasts to come together for a morning of good conversation, coffee, and fun! Here, you can meet new friends, swap stories, and get some tips on a project you may be working on. The grounds of the Richmond Hill History Museum, formerly the Henry Ford Kindergarten building, is the perfect place for this popular community event. 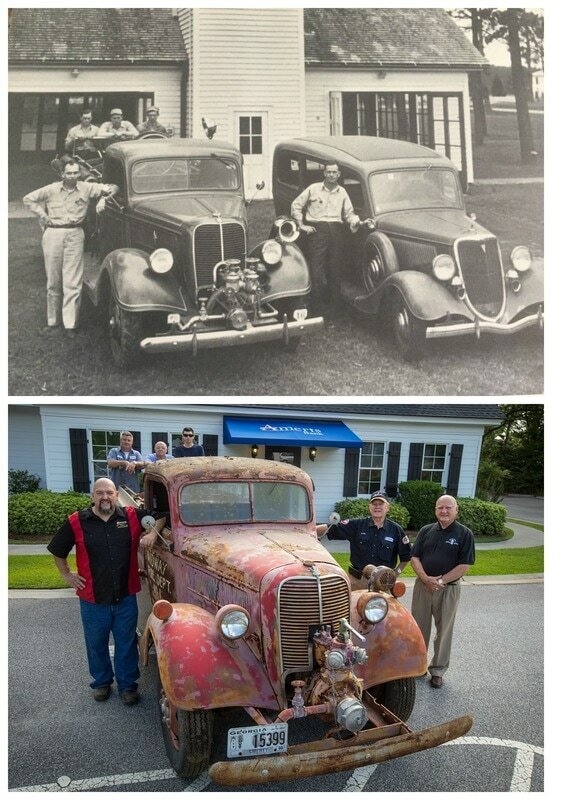 Bring any car you feel is unique, special, rare, or antique, or just bring the family to have a look around. Recently, members of the Richmond Hill Historical Society were able to locate and acquire the 1937 Ford Fire Truck that we believe was supplied by Henry Ford and used in Ways Station/Richmond Hill during the Ford-era. The truck is still in a very solid condition but the Richmond Hill Historical Society would like to restore it to its original beauty. Your donations and sponsorship can help us meet our goal of $50,000 to restore and house the truck.